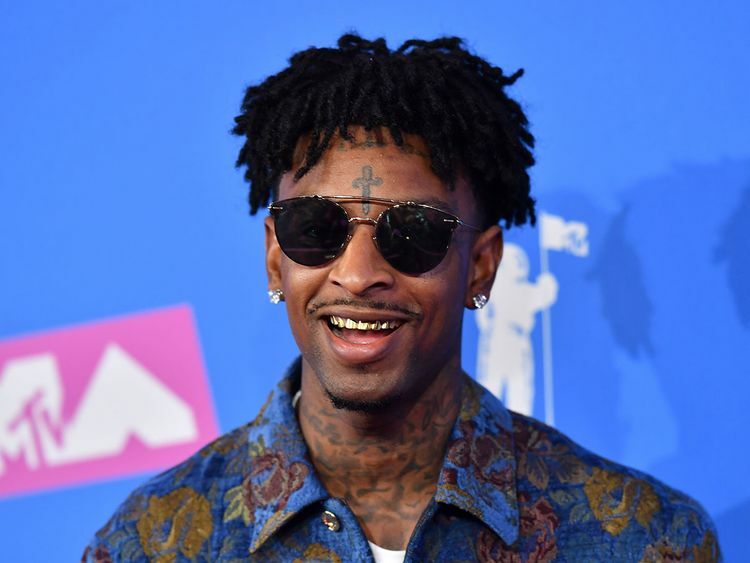 New York: Rapper 21 Savage, who has long said he is from the US state of Georgia, was detained on Sunday by US immigration officers who say he is actually British and overstayed his visa. The news sent shockwaves through social media as the Grammy-nominated 26-year-old rapper - whose real name is Sha Yaa Bin Abraham Joseph - says he is local act from Atlanta, the capital of hip hop. "We are working diligently to get Mr. Abraham-Joseph out of detention while we work with the authorities to clear up any misunderstandings," the rapper's lawyer, Dina LaPolt, said in a statement to AFP. The US agency also told the paper he had been arrested and later convicted for felony drug charges in 2014 - but at the time, ICE was unaware that he was in fact British. According to the paper 21 Savage was arrested in a "targeted operation". The rapper is up next week for two Grammys for his work on fellow rapper Post Malone's smash hit "Rockstar," including for the major Record of the Year award.